who's presence is surely missed.We would like to take you on another dub excursion. This time through some essential cuts made for the Producer / DJ Tappa Zukie. 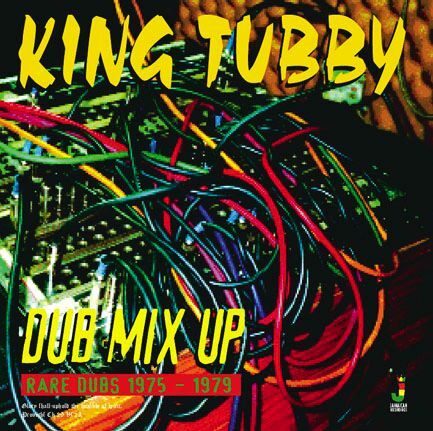 King Tubby always added something a little special to the tracks he worked on. would then be voiced / Re - voiced at King Tubby's. the bass in and out, adding echo and emphasising various elements of the song. In some cases dubbing the cut into something unrecognisable from it's original sound. would be unleased on the public. Prince Allah, Junior Ross and the Spears. Also the much overlooked vocal group Knowledge. Some great rhythms, some great tracks, worked over by the reatest dub mixer of them all. A lost till now dub to Tappa Zukie proteges, reggae group Knowledge. Tubby works over The Paragon's 'Strange Things'. Prince Allah's 'Slavemaster' shines through on this lost dub cut. 5. WORDS, SOUNDS & DUBWISE. Knowledge's 'Words, Sounds & Power', given some dubwise treatment. & the Spears classic 'Judgement Time' of which this is a rare dub cut. 7. UPPER 1st STREET DUB. 8. RUN & HIDE THE DUB. 9. GIVE ME YOUR DUB. Slim Smith's 'Give Me A Love', gets reworked on this dub cut. The Soul Syndicate band provide the rhythm and stretch out on this lost till now dub cut. 'Wicked A Fe Dress Back' featuring The Revolutionaries band this is a wicked lost dub cut. Mr Alton Ellis's 'Ain't That Loving You' is reworked into this fine dub cut. 1. UPPER 1st STREET DUB. 2. RUN & HIDE THE DUB. 3. GIVE ME YOUR DUB. Sly Dunbar, Carlton 'Santa' Davis: Drums. Earl 'Chinna' Smith: Lead Guitar. Augustus Pablo, Keith Sterling: Keyboard. Recorded at: Channel 1, Randy's Studio 17,Black Ark. Voiced & Mixed: King Tubby's Studio. Manufactured under Licence from D.Sinclair.